For centuries, stars have played significant roles in humans’ life. From planning crops to guiding navigators on adventures, stars are the great sources for predicting life events. In that sense, the concept of “Vedic Astrology” came to life aiming to figure out the relationship between the astrological elements like stars and the humans’ life on the earth. The star-based Zodiac is the key to unlock your power. Originated in India, this method of divination was recorded in the Vedas, the Hindu oldest book in existence. Such the spiritual texts were dated back to 5,000 – 8,000 years ago. At that time, its Indian name was “Jyotish” meaning “science of light”. The science did research about the influence of the heavens’ energy and light on the Earth. Consequently, human beings’ lives were also affected by the natural forces. In the stylized maps of the heavens based on their dates of birth, each individual owned their own natal chart or birth chart. The Chart lets us know the specific locations of our Zodiac signs at the particular moments of birth. In Jyotish, the prime component is the Vedic Chart, the map of the planetary aspects such as stars, planets, house arrangement, etc. in the sign of the Zodiac. The Chart was created right on the time of birth on earth. Hence, the moment and the location you were born will determine the features of your natal Chart which is personalized just for you. Thankfully, the authentic astrologers or Psychic readers are able to read and explain the Chart’s meanings. While looking at the Chart’s features, they can discern the invisible information about your natures or personal traits as well as the life events associated with some practical advice on prosperity. Both the bright and dark sides of your life will be unfolded. Luckily, it is possible to gain self-knowledge, maximize the inborn strengths, and minimize the shortcomings in the slightest manner. In general, almost all Astrology sites allow seekers to draw their own Vedic chart due to the available form. Simply submitting the personal information like birthday, birth time, and birth location, you will be offered the clear instructions on the Chart and the Moon sign. Both the Chart and the Vedic Sign are the practical guides for reflecting the natures, destiny, and compatibility. The secret of relationship compatibility will come to light as the Chart lets us know how our planets interact with each other. For instance, it is concurred that Mesha (Aries) is highly compatible with Mithuna (Gemini), Tula (Libra), Kumbha (Aquarius), and more. On the other hands, Mesha is incompatible with Vrishchika (Scorpio), Karka (Cancer), Meena (Pisces), etc. The foreknowledge from Vedic Chart helps the Arians to find their life mates in the right direction. Besides, if they uncontrollably fall in love with their incompatible signs, the Chart and the Psychic readers will also be the great sources for consulting the compelling advice on love and relationship. When a couple agrees to compromise and handle each other’s differences, they are able to love in the harmonious and joyful demeanor. The intrigue of compatibility between individuals can be clarified in this way. According to Vedic Astrology, love is determined in the stars. When it comes to love, each Zodiac sign (Rasi) has different way to love and be loved. Thus, Vedic Chart is the complete diagram transferring the heavenly information to the earthly zone. People with the certain power can clarify such the ambiguousness. Up to now, no evidence has ever been produced to prove the authenticity of the natal Chart, but it is entirely convinced that at least 70% Vedic astrology “hits the nail right on the head”. Give it a try, why not? For further information pertaining to the article “Vedic Astrology Chart, Unlock Your Potential”, do feel free to have your inquiries submitted in the box below. For any seeker who is familiar with Psychic divination, the term “Astrology” is no longer a strange concept. 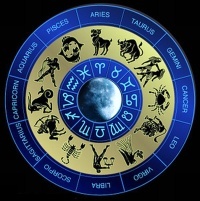 In reference to the stars-and-planets movement study, it is very significant to understand the basic framework of Vedic Astrology (Hindu astrology or Indian astrology) – an Indian study of the movements of the Sun, Moon, Planets, and Stars in the belief that such the movements can have an impact on humans’ life. Since the early 19th century, Vedic Astrology (also termed as Jyotish) has worked on the basics of the ancient scriptural texts of India named the Vedas. Up to now, no scientific evidence has ever been provided to prove its beginning period. The spiritual practice Jyotish was said as the eye of the Vedas. Such the eye is able to unlock much hidden information about yourself, where you are in your journey, and how prospective your fortune is. Under that light, self-realization and self-acknowledgement are the visible results of this ancient practice. By looking through the glass of Vedic Astrology, we may gain clarification, inspiration, and empowerment to move forward in life. Indian astronomy is the scientific study of the stars, planets, and numerous other natural objects in the sky. Mundane astrology aims to foretell some significant events that will happen to a particular country such as earthquakes, wars, political events, financial circumstances, etc. Predictive astrology aims to predict tons of possible situations that will happen to a person’s life as well as characterizing his natures based on his date of birth. This branch is widely followed by a vast majority of readers for centuries. Firstly, there are 9 planets (also referred to as Grahas) including Moon, Sun, Mercury, Mars, Venus, Jupiter, Saturn, Dragon’s Head, and Dragon’s Tail, which have the immeasurable influence on human beings’ fortune. The 9 planets create the circles of planetary system. Secondly, the 12 Zodiac signs (also known as Rasis) form the circle of animals based on people’s birthdays. In Hindu astrology, the Zodiac names are changed according to the Indian name – Sanskrit names. For example, Aries is “Mesha”; Taurus is “Vrishabha”; Gemini is “Mithuna”, and so forth. Thirdly, 27 groups of stars form the patterns of 27 constellations. Vedic Astrology brings the relationship between the Rasis and the star-clusters to light so that it can help to explain the natures of an individual from birth and his destined prospect. Generally speaking, the Indian names of both the zodiacal signs and constellations sound quite unfamiliar to the Western people. 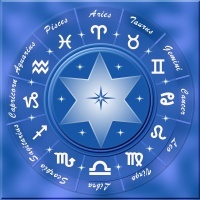 Mainly rely on planets, zodiac signs, and constellations to make predictions; the ancient practice is concurred to have about 70 to 80 percents of offering the accurate prophecies. Dealing with the specific planetary motions and locations at the time of humans’ birth, Jyotish can form the natal charts or birth charts which are the great sources for predicting our personal traits and fortune in the accurate manner. This ancient prediction tool enables people to have a glance at the future associated with a number of life events such as marriage possibility, wedding ceremony, housewarming party, children’s names, study abroad, etc. 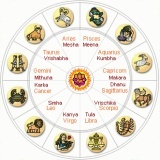 On the basis of your date of birth, Vedic Astrology gives you a complete picture of life prosperity. It can be said that the ancient wisdom still remains their significance in the modern life. Today, Jyotish is regarded as one of the well-recognized and top-followed system of astrological researches that people from all walks of life are fond of. Stemming from India, the system has successfully expanded its practicality and praiseworthiness to most angles of the globe. For further relevant issues regarding the topic “Vedic Astrology, What We Need To Know”, please don’t mind having your inquiries filled in the box here. 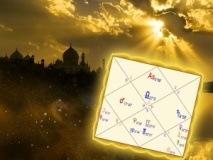 Different from Western Astrology, Vedic Astrology (also named as Jyotish or Hindu Astrology) studies the relationship between the astral light patterns and human beings’ destiny based on the stars’ positions at the specific moments of birth. The astral observation aims to characterize a person’s natures as well as predicting his or her sorts of life phenomena. Having its root in ancient India and is recorded in the Vedic scriptures, the Vedic Moon signs are the great sources for self-exploration and future divination. Under that light, every individual’s fortune can be predicted with the high degree of accuracy and authenticity. The Indian name of Zodiac sign is Rasi. Among three basic components of Vedic method (9 Planets, 12 Rasis, and 27 Constellations), Rasis are the key which can be used to form the stylized map of the heavens based on the locations of the stars when we were born. Thus, each person has his own personalized map or birth chart. To English speakers and learners, the Sanskrit names of the 12 Rasis sound quite unfamiliar. For instance, here is the list of the Hindu signs: Mesha (Aries), Vrishabha (Taurus), Mithuna (Gemini), Karka (Cancer), Simha (Leo), Kanya (Virgo), Tula (Libra), Vrishchika (Scorpio), Dhanu (Sagittarius), Makara (Capricorn), Kumbha (Aquarius), and Meena (Pisces). According to the Vedic concept, the Sun will move through the circle of the 12 animal symbols within a year. Thus, the time to pass through one Rasi is about one month. Accordingly, each Rasi will know when the best months to catch opportunities are as well as the bad time to avoid beforehand. Providing more specific information than the Moon signs, the Moon constellation (also termed as Nakshartra) can bring the secret of individual compatibility to light. While your Vedic sign mostly reveals your inborn characteristics, the Nakshartra is the ideal guide for disclosing how you interact with the others. At present, it is easier to find the online Vedic services than ever. Simply submit your date of birth, time of birth, and place of birth in the available form. Within seconds, your Moon sign will turn up associated with the short piece of divination. The Indian ancient practice is now widely followed by people from all walks of life despite numerous controversies around its trustworthiness. Through the Vedic glasses, a fresh intuition about the past events, current situations, and future circumstances will be clarified at the healthy demeanor. More meaningfully, your sign’s compatibility with the others can also be unraveled. Thanks to this, your social interaction and communication will be effectively increased. 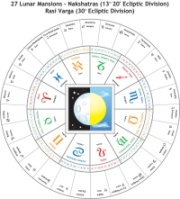 It is concurred that the Vedic glass is one of the oldest methods of divination based on the positions of Rasis and planets in their own natal chart. As the magnetic resources for self-reflection and foreknowledge, the Vedic Astrology signs or the Rasis themselves embrace the antique wisdom of the old Indian. The exact time of birth will lead to the accurate interpretation since both the Vedic sign and the Vedic chart are drawn up on the basis of your date of birth. Primarily reply on the astral Indian method, the authentic astrologers or Psychic readers are able to perceive the hidden information about the seekers’ personal traits and destined prosperity as well. The life on earth can be displayed mysteriously through the Vedic glass. Hence, the foreknowledge around the good and bad days can help every individual to come prepared to enjoy life with the low degree of bewilderment and confusion. Consequently, be ready to enjoy life without any touch of fear or anxiety! For additional features around the article “Vedic Astrology Signs, The 12 Rasis”, do feel free to type and submit all of your concerns in the box here. For centuries, the ancient system of Vedic astrology turned up including Indian astronomy, Mundane astrology, and Predictive astrology. It was the last branch that aimed to foretell an individual’s courses of life events as well as characterizing his personal traits on the basis of his dates of birth. The system was also termed as Indian Astrology, Hindu astrology or Jyotish. Recently, the Vedic method of divination has attracted a popular interest widely in the West. Providing the accurate prediction and magnetic trend in people’s life, the ancient practice was the excellent tool for revealing our life purposes regarding love, relationship, career, health, spiritual growth, etc., based on the 12 Zodiac signs (also named as Rasis). Primarily relying on your date of birth, time of birth, and place of birth, the Vedic readers are able to calculate or locate the positions of your stars or planets according to the astral observation and astrological patterns. In order to lighten your life path, the Astrology reading analyzes your early childhood experience, educational background, potential intuition, and possible growth, etc. All of the inborn strengths and weaknesses are unraveled in the high degree of authenticity and accuracy. The perceived Chart from the Moon gives the personal insights that can steer you away from the life obstacles and pitfalls along the way. In addition to the 12 Rasis, the 9 planets and 27 star-clusters (constellations or Nakshatra) form the divine system of Astrology. The individual natal chart is the great guide for profoundly self-knowledge and predictive life prospects. In that sense, each person is born with the specifically different Vedic Chart due to his exact birth time. Under the light of Vedic perception, the Sun will go around the Rasis circle within an extended period of one year. Each month, one Zodiac sign is passed through with the particular impact on the earthly creatures. Are your ready to enjoy life with ease? Be clear-headed to catch your life opportunities as well as lessening the level of life’s confusion and anxiety via Vedic reading! Get yourself out of the sea of confusion by consulting the Vedic chart or talking to the Vedic readers at your earliest convenience! The daily movements of the Sun will provide the unique and definite influence on life phenomena. Both the Moon signs and the Moon constellations can be used to unlock your potential and disclose your compatibility with other individuals. In the circle of the 12 animals, a person’s destiny is affected by the movements and positions of his Rasis. For instance, if you were born from January 20 to February 18, you would come under Kumbha (Aquarius), the eleventh Rasis. In this case, your star-cluster can be best viewed in a clear night sky during the month of September. Meanwhile, September is your advantageous month, for example. Thus, be confident to carry out your plans or projects during this course of time! In that sense, each Rasi has its own advantageous and disadvantageous times. Vedic reading can guide you to the right path of contentment and blissful pleasure. Promisingly, the Indian ancient practice reflects the antique wisdom; so, it is very crucial to show your respect and concentration throughout the reading. In order to add new colors to your life pages, have a Vedic Astrology reading is the first step for taking control of life. No need to worry about tomorrow as you can figure out your future from this moment! The master readers will give you a map of how life is currently moving, the past energy as well as the upcoming forces. Based on the empowered map, you can make your own choices for navigating the life journey wisely. Don’t be hesitant to type and submit all of your queries related to the subject “Vedic Astrology Reading, Calculate Your Destiny” in the available form.